Want to get family members all together on Internet? Creating a website, blog, social media groups are great to share stuff. But it should be more joyful if you can do all this from a single website? famlu.com will help you for the same. 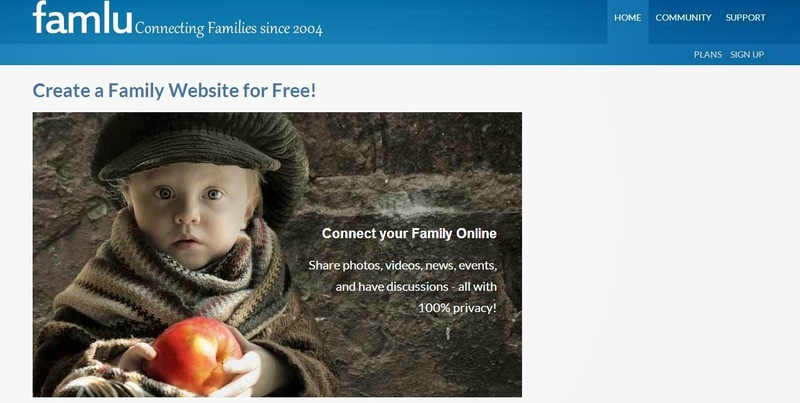 Here, famlu.com, we are creating a website our family for free. and our family members can join, or we can invite them and also can create other admins who can accept requests and invite members. This family website will works like a social media, blog, image and video sharing website and also like a micro blog. This posts can set visibility also ie, For personal or family photos or other posts we can set visibility to members only and for common posts we can set it to members only. I have created (Two plans available, Free plan and $50 plan) my family website and it helps me to find out my family buddies and also knew many other members who are not have contact with me. We can now sharing our stuff here. famlu.com is comes with 5 GB of file storage for both paid and free plans and paid version have 60 days of money back guarantee. They will refund your money if you are not satisfied with their service.